Windows 10 has been kicking around for a few years now and it seems to have been updating for even longer. So what do you get for all of these updates? 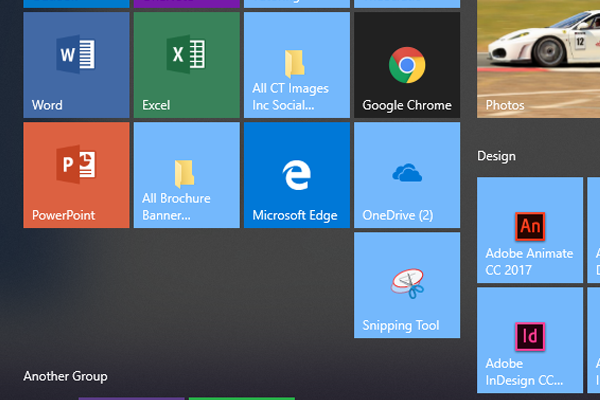 Here are the top 10 tips for windows 10, with probably a couple of additions and notable entries. 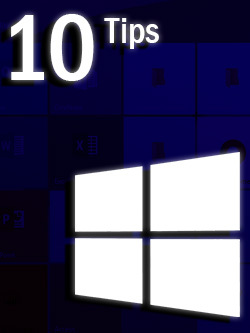 If you'd prefer learn these top tips via our Windows Top 10 Tips Training Video the click the link. Open at least 2 windows on your Windows 10 computer. You can see in the above picture I have a few more, but it doesn't make a difference. 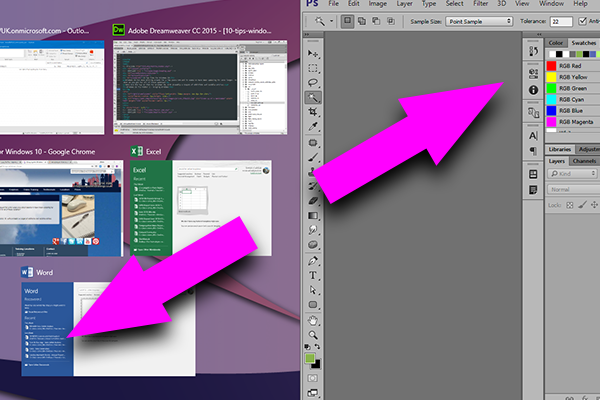 Click and drag the Title bar of any window to the right edge of the screen. You'll then see the choice of other windows on the left hand side. Click on what you want to see on the left then POW! Now you can scroll through inactive windows. What do I mean? Well, apparently before you had to click on a window to give it focus, or activate it, before you could use the wheel on your mouse to scroll. Now, you don't! Handy if you are comparing various documents and you don't want the hassle of clicking between them. If you are using two or more screens you will really see the advantage of this feature. You can't imagine how many times, when I'm training, I see people hunting around for a file. They know the name of the file, however they can't remember where they've put it. So, they click on windows explorer and go back and forward, up and down wasting time looking for something they could find very easily with the search button. The search button in Windows is the little button in the bottom left corner that's basically the windows logo. Most keyboards will have this logo which you can also use. (You can also click on the Windows logo at the bottom left of the screen). Click the Windows logo in the bottom left corner. (Or press the windows key on the keyboard). Type what you are looking for, be it a application, folder or file. 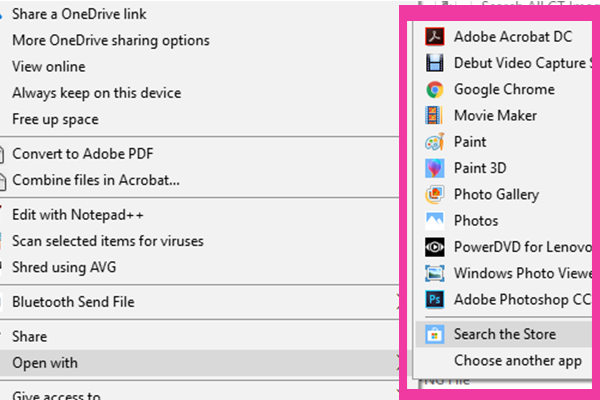 If you are looking for a folder or file you will have to click the folder or document button to expand and view the documents that contain the name of the file or application you're looking for. Click on Folders or Documents depending on what you're looking for. You can use the task view to go back in time. Great if you can't remember where you saved the file you're looking for. Even if you're a little fuzzy on the name of that elusive file. You can use the Task View to look back through time. Get your Delorean out and go Back to the File! When one desktop just isn't good enough, then enter the world of multiple desktops. That's right! You can have more that one desktop on one machine. Seems a bit of a contradiction eh? But you really can have many desktops. This is especially good if you are swappinng various hats in your working life. Hold down the Windows key and press tab to go into Task View. Click on the New Desktop button at the top left. 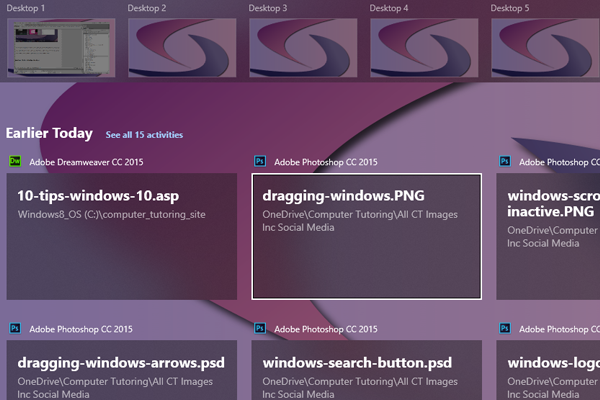 Drag any application you desire to the new desktop. 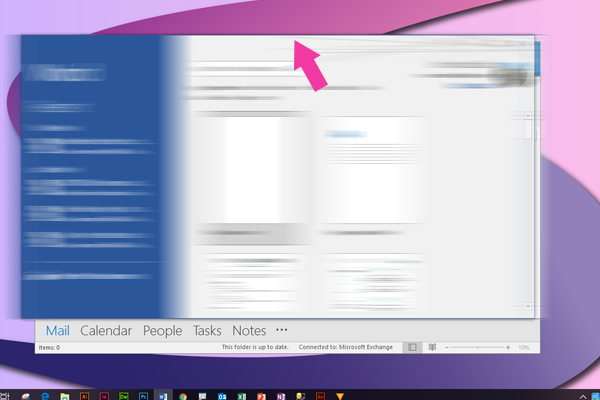 By default the taskbar displays windows and apps from the current desktop. To change this behaviour, head to Start > Settings > System > Multi-tasking > Virtual Desktops and select the 'All desktops' option from the pull-down menu. Also in relation to the above you can change the Alt Tab keyboard combo so that it moves the applications across multiple desktops instead of the desktop you currently happen to be on. No this isn't a new band. If you haven't tried this already grab hold of the title bar and shake that window. Note that all the other windows are minimised. Give the window another shake, and all the windows come back, or rather maximised. 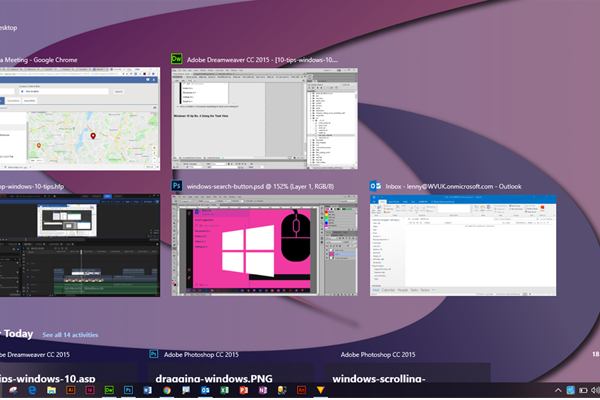 A handy tool should you want to rearrange your desktop windows. Right click on a tile and choose Unpin from start to remove the tile. Right click on any application or folder and choose Pin to Start menu. Change the view of the Start Menu to full screen. 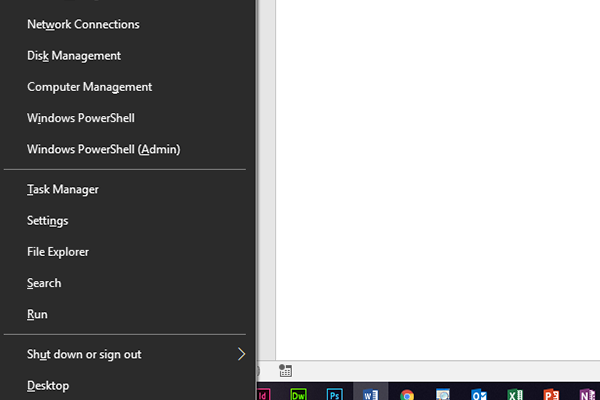 Start Menu - Settings - Personalisation - Start - Switch Start Full Screen to on. 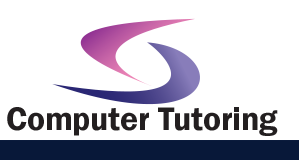 Your computer is running sluggish and you feel you need a fresh start then why not restart windows explorer. Of course you need to have windows explorer running to be able to do this. On the keyboard Press Windows Key & E to display Windows Explorer. 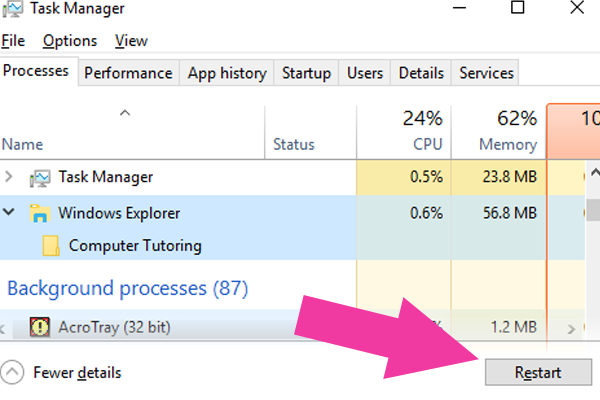 Right click on the Taskbar and choose Task Manager. Click on Windows Explorer then click Restart. Of course if that doesn't work then you may have to restart windows. A long, frustrating task and not great for the diet. Because you will need lots of tea and biccies to calm you while you wait an eternity for a restart. Isn't it annoying when you double click on an image and it opens in paint, instead of Photoshop. Or when you click on a web page, only for it to open in Internet Explorer (If anyone still uses that?). If you're suffering for misaligned app syndrome, then look no further. 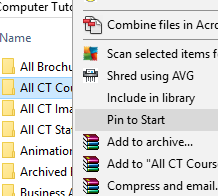 You can right click on any file and change the associated application. Now when you double click on the file it should open in the correct application. Hooray!! 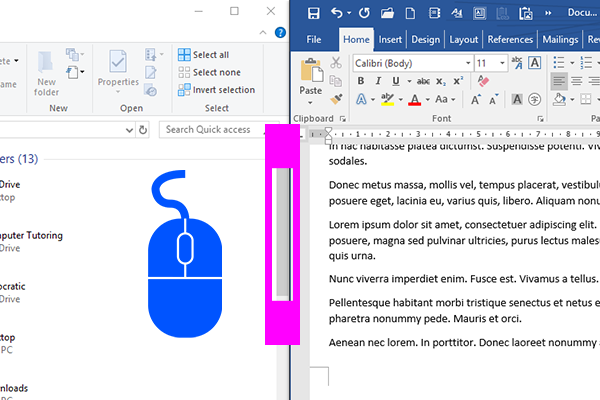 Have you ever been hunting around for features that were in older versions of windows and but are hidden in the back of beyond in Windows 10. If that is true for you then you might want to check out the Power User Menu. To access hold down the Windows key and X on the keyboard or you can right click on the small Windows icon bottom left. Make sure you check out our free Windows 10 Top Tips Video Tutorial to make sure that you getting all you need from these windows tips. On the whole I feel that Windows 10 has great features. So long as you have the latest greatest laptop or desktop or one of those weird over priced surface models you should be laughing. However, if you are used to the older way of doing things. If you have a laptop that's seen better days. Or if you can only afford an entry level machine. Then you might be cursing at Windows more often than you did the older ones. The biggest bane in my life is updates. Update, updates, update. I want to get that email out but first, I have to wait for updates. I need to finish the graphic in Photoshop. But, NO!!! I have to wait up to 3 hours for updates. Now you do need updates, but unless you change the settings they could catch you at awkward times.